You’d think that a rich, complex and beloved story like Watchmen would have no trouble being adapted for both the big screen and small, but so far, it hasn’t had much luck. The most popular adaptation to date was Zack Snyder’s effort back in 2009, but that was fairly divisive and found itself with just as many haters as it did supporters – likely because it was a bit ahead of its time. 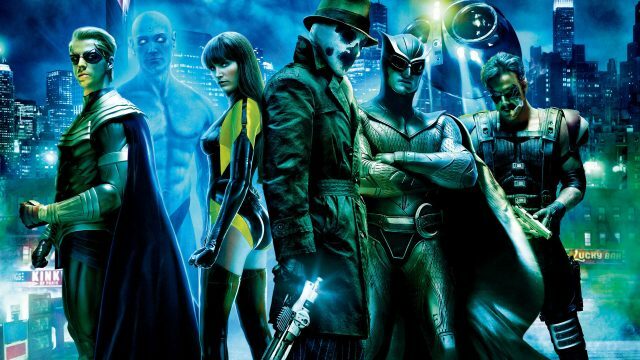 Now, Rorschach, Doctor Manhattan and the rest of the gang are about to find themselves in the spotlight once again, as HBO is working with Damon Lindelof to put together a Watchmen TV series. Clearly impressed with his work on The Leftovers, the scribe is in talks with the network to adapt the beloved graphic novel. We don’t have too much to go on just yet, but this is certainly exciting, as a place like HBO would be the perfect home for the mature and adult-oriented content of Watchmen. Not to mention that television may actually lend itself better to Alan Moore’s iconic story than film does. After all, this is definitely a tricky tale to adapt, so being able to spread things out over an entire season, or even multiple seasons, may work better than cramming it all into one, two-hour movie. At the moment, we’re unsure of what the exact plan is in regards to whether this will be a limited series or an ongoing show, and it’s also unclear whether it’ll go beyond the original graphic novel or stick solely to it, but we’re intrigued nonetheless. Truth be told, it may be a bit redundant to develop yet another adaptation of Moore’s epic knowing that an animated film is in the works, but let’s not forget the prequel books DC published a few years back, each of which could serve as inspiration for this project. Whichever direction they decide to head in, Watchmen is a fantastic property and at a place like HBO, it can definitely flourish. Sure, Lindelof has been known to alienate fans before with some of his work, but he’s a talented individual who’s usually got some pretty interesting ideas. As such, we’re excited to see what he has in store for Moore’s seminal tale and we’ll be sure to bring you any and all further updates as and when they arise.